The fascinating history of the property dates back some 300 years when the vast expanse of land surrounding the Santa Monica Mountains was part of the original Spanish Land Grant. The 200,000 acre site was a perfect spot for raising sheep and cattle. Up until the 1930's the area was known as El Malibu. Local caves are still covered with pictographs painted by the Chumash Indians which date back to the Portola Expedition of 1769. These pictographs have become very rare due to erosion and weathering, but some of the most well preserved examples remain on the Saddlerock Ranch property and have been studied by archeologists and photographed for books. Many may recognize the Saddlerock Ranch from some of the many movies and television series that have been produced here on the ranch. The studios have been using the ranch as an incredible location dated back into the 1930's. One of the first movies made on the ranch is a very famous movie starring Gary Cooper called Lives of the Bengal Lancers. There have been many movies made here since the 1930's but most recently it has become a haven for Hollywood studios. 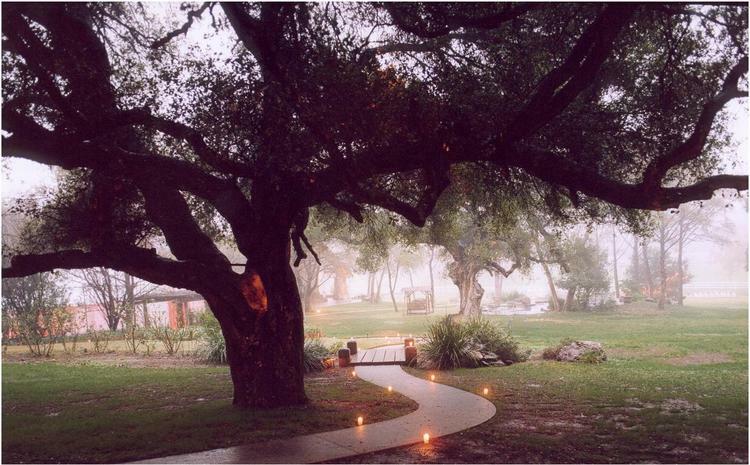 In addition to the incredible number of movies, the ranch has also hosted some magnificent celebrity weddings with the utmost of privacy and security. Exotic animals can be seen throughout the ranch consisting of buffalo, llamas, zebras, Scottish Highland cows, water buffalo, Emus, South American Macaws, miniature horses, miniature donkeys, peacocks and the latest addition of Stanley the Giraffe. These animals add a unique blend of fun and excitement as well as a unique experience for many who have the pleasure of visiting the ranch. Today, Ron and Lisa Semler live at Saddlerock Ranch with their 9 children, as they have since the 1970s. 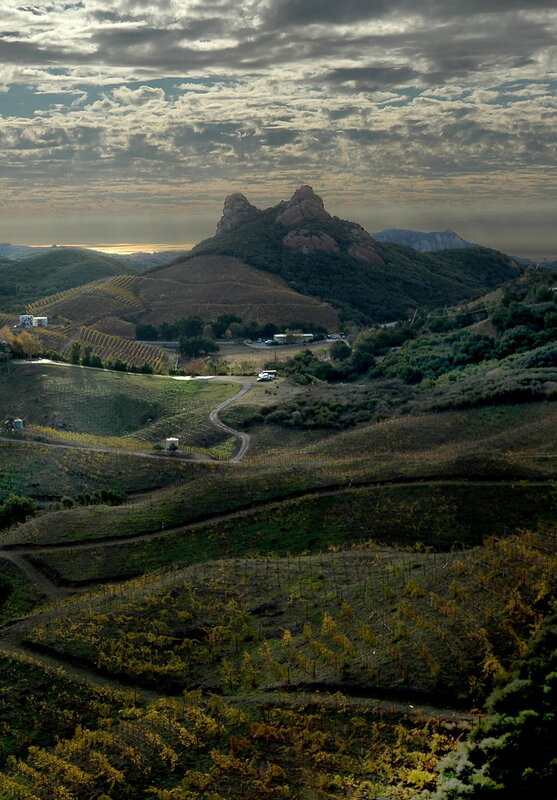 Perfectly positioned at the crest of the Santa Monica Mountains, the vineyards are quite unique: The rocky terrain and steep south facing slopes provide the perfect environment for growing premium wine grapes. Planting started in 1997 with 14 acres of Cabernet and Merlot. Today the hillside vineyards consist of approximately 80,000 vines on 85 acres with eight varietals and are well on the way to reaching a goal of 100 acres. Varietals planted are Cabernet Sauvignon, Cabernet Franc, Merlot, Syrah, Sauvignon Blanc, Mourvedre, Grenache, Viognier and Malbec. We invite you to choose from a selection of wines harvested and produced from this legendary terroir. Ocean air, luscious sky, impeccable grapes, classic soil – each sip is a memory produced with love and affection from the locals. Viva Malibu!